I consider this passage one of my favorites because the demonstration of God’s love for me in it. It takes a great amount of love to die for someone who treats us well and loves us in return, but it takes an immeasurable amount of love and compassion to die for someone who mistreats us and rejects us. I was neither a good nor righteous person when Christ died for me; there is no way I deserved to have Jesus die for me. Yet, because I am made in his image and his love for me is immeasurable, Jesus died to save me from an eternity in hell. Hallelujah, what a savior! Winning the Alpha Omega Championship in 2005 definitely stands out. All three of my teammates and I had memorized all the scripture being studied in the book of Matthew that year. However, we had quizzed rather poorly in the round robin portion of the tournament, largely because I wasn’t quizzing well. Going into the double elimination portion of the tournament, our team was seeded eighth, but we went undefeated in the tournament to win the championship. Winning the championship was especially memorable since I had the opportunity to win with my older brother in his senior year. Another highlight was winning the Young Teen Veteran A Individual Championship in 2003. I don’t remember much of the quiz except that it was quite nerve-racking as the championship came down to the final question. A quizzer had already prejumped the question but missed. I was pretty sure I knew how to complete and answer the question correctly; however, I passed because I wanted to be positive by hearing a few more words of the question. Much to my joy, when the question was reread, I was correct regarding my initial thoughts, jumped up first, and answered the question correctly to win. Quizzing helped my life tremendously as a teen in several ways. First, it helped me mentally and academically by developing my mind to be able to memorize large amounts of information. Second, it helped me relationally by my developing deep friendships with teammates and quizzers from other teams. Finally, and most importantly, it helped me spiritually in a plethora of ways. Most notably, the scripture I learned grounded me in the truth of the gospel. I never really struggled in my faith in Christ as a teen, and I am confident that quizzing played an important role in my steadfastness in that area of my life. Besides the already mentioned area of quizzing helping affirm in my faith in Christ, the scripture I have learned through it has greatly deepened my walk with Christ. God’s word is not just informative; it is also transformative. Whenever we truly experience God, we are changed by our interaction with him. By studying and meditating on the scripture I have learned through quizzing, God has developed me spiritually. How are your presently active serving the Lord? Over the past few seasons, I have helped quizzers at my local church study and prepare for the upcoming quizzes. In addition, I have quizmastered occasionally at tournaments throughout the quiz season and at nationals over the past several years. 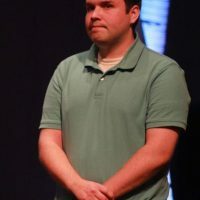 I currently am a small group leader of young adults at my local church and have recently been serving as a treasurer of a small Christian nonprofit organization. I am also in the ordination process to become an elder in the Free Methodist Church and will be attending Asbury Seminary in the fall of 2017 to pursue my Master of Divinity degree. My plans are to become a senior pastor at a church in the Free Methodist denomination after graduation.